The latest tanker market trends are shifting constantly thanks to new developments altering supply routes. 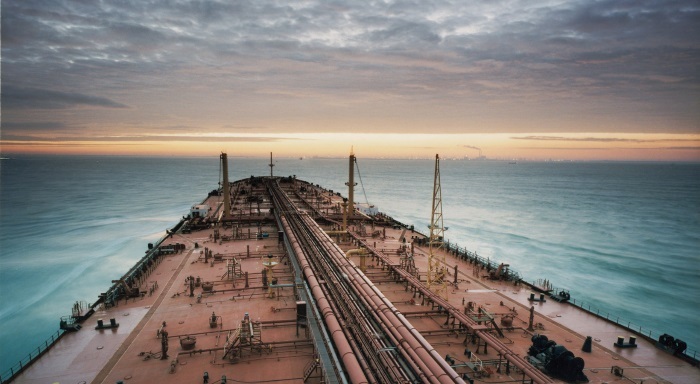 In its latest weekly report, shipbroker Gibson said that “with the dust starting to settle following last week’s OPEC deal, all eyes now focus on two key issues, compliance, and rising non OPEC supply, in particular shale production in the USA. In our tanker market report back in August, we noted a rising rig count and discussed the potential for this trend to continue. 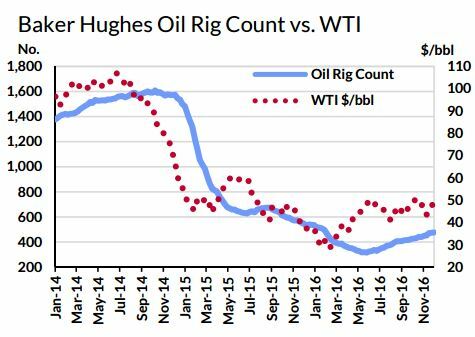 Since then the rig count has risen every week bar one and now stands at 477, up 96 rigs since our August count. And with prices firmly above the $50/bbl level those gains look set to increase”. The shipbroker said that “according to Rystad Energy, the average breakeven price across the Permian, Niobrara, Eagle Ford and Bakken fields stood at $67/boe in 2014, today average costs across those regions are said to have nearly halved to $35/boe. With many plays now in a profitable zone, it is little surprise to see US crude production bottoming out, with some marginal upside now being observed. Data from the EIA shows US crude production as reaching a floor in July, trading sideways until mid-October where production has since risen by 200,000 b/d. Such increases may well be small, but if it is the start of a sustainable trend, US crude production could be rising sooner than anticipated”. According to Gibson, “so far export growth appears to have been limited at 475,000 b/d, broadly in line with 2015 levels. However, a clear shift in terms of export destinations is taking shape. In 2015, 92% of US crude exports went to Canada, with little or no benefit to the tanker market. This year, just 62% of exports have made their way to Canada, creating an increase in seaborne exports, even if outright volumes remain largely unchanged. Unsurprisingly US exports are finding a home in Europe, where the medium haul nature of the trade makes it suitable for Suezmax and Aframax tonnage, which can load in US ports. However, seaborne exports are making their way to longer haul destinations. In September Singapore received 3 million barrels of US crude, part of which was provided by VLCCs loaded via STS in the US Gulf. So what are the prospects for seaborne exports going forwards? The US Energy Information Administration remain pessimistic for crude production in 2017, projecting output of 8.8 million b/d, only 100,000 b/d above its latest historical supply estimates. However, the administration acknowledges that its latest forecast is based on a brent price of $52/bbl, and suggests that last weeks OPEC deal could provide further upside in terms of prices and shale production. If, this happens, the exports look set to rise, supporting tanker demand at a time of potentially declining exports from Middle East OPEC producers, and supporting long haul trade to the Far East”, the shipbroker noted. 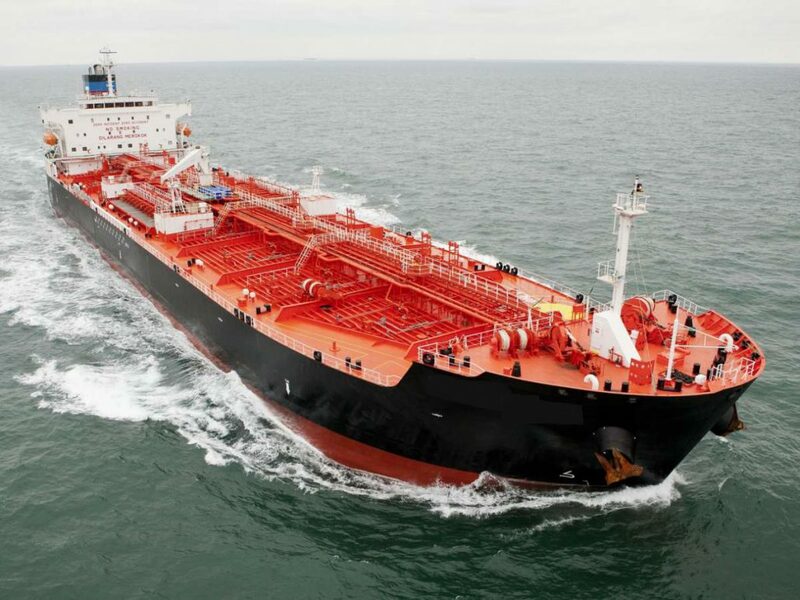 Meanwhile, in the crude tanker market this week, in the Middle East, Gibson said that it was “yet another busy week for VLCCs, but one in which yet again a large slice of the action was concluded very much under the covers. Those deals regularly came to light, but the information flow was erratic enough to prevent what could have been a more significant spike. As it is, rates have moved into a higher bracket with low ws 80’s to the East and mid ws 40’s to the West the current marks. Onward progress will now depend upon whether Charterers decide to chase ahead into January before full programmes are in hand from late next week. Suezmaxes kept a steady profile at up to ws 90 to the East and ws 50 to the West, but an upward u-turn in West Africa may tempt ballasters away and start to open more opportunity for gains over the next phase. Aframaxes bubbled and rates heated up to 80,000 by ws 125 to Singapore accordingly. The near term outlook is for things to remain positive for owners”, the shipbroker concluded.